A tourbillon like no other. Bringing together technical, aesthetic and conceptual creativity, De Bethune watches are definitely in a class of their own. Among the brand’s latest creations, the DB25 Starry Varius Chronomètre Tourbillon was awarded the 2018 chronometry prize at the prestigious GPHG last November… We already enjoyed the non-tourbillon version, and now we get to go hands-on with this complex version of the star-studded timepiece. To optimize the watch’s chronometric performance (+/- 1 seconds per day), Denis Flageolet has opted for a fast-rotation, high-frequency tourbillon movement. The hand-wound calibre DB2109V4 oscillator is a 30-second tourbillon ticking at 36,000 vibrations per hour (or a 5Hz frequency). This feat was made possible by designing an ultra-light carriage, weighing just 0.18g for 63 components. 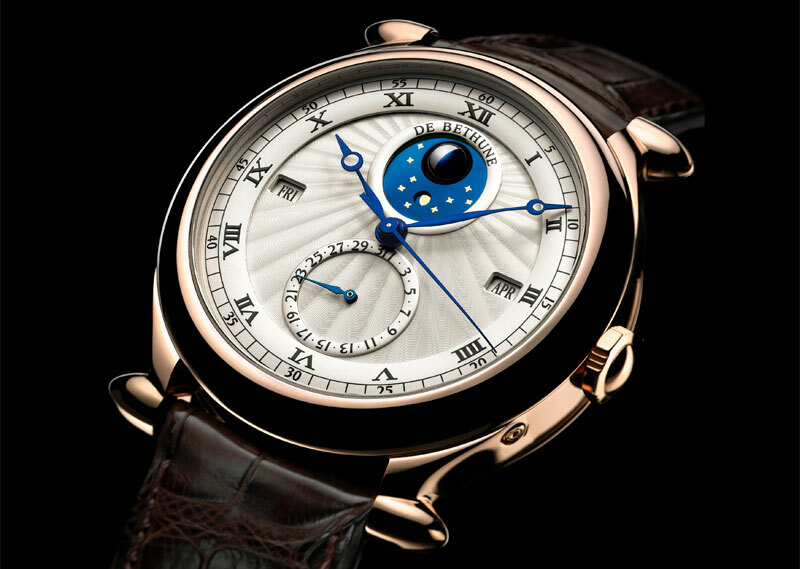 The movement combines several De Bethune developments. The balance wheel is in titanium with white gold inserts. 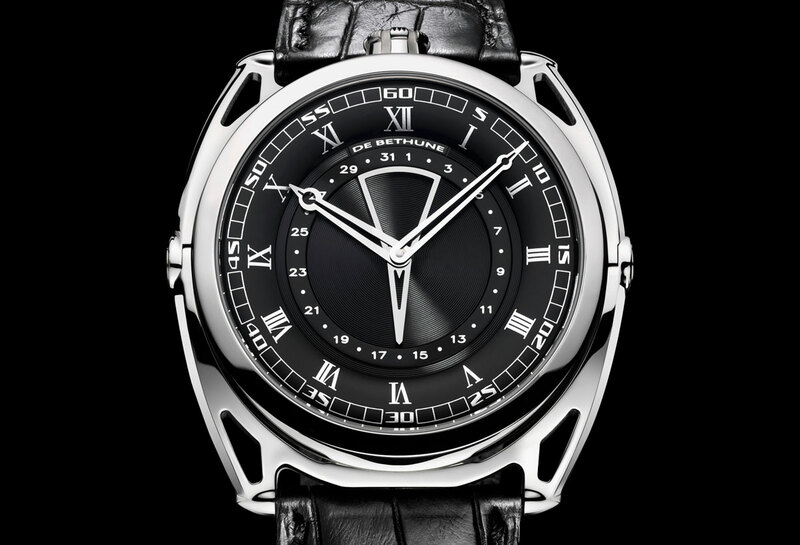 It is fitted with a De Bethune balance spring with a flat terminal curve (patent from 2006) aiming at maintaining a perfect centre of gravity. The escape wheel is in silicon. 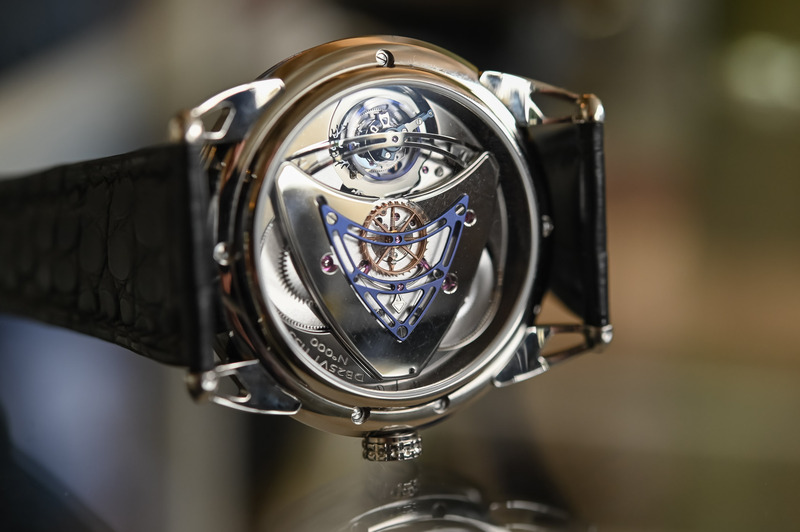 For enhanced legibility, the central seconds hand jumps every second (De Bethune Dead Beat seconds, patent 2011), driven by two coaxially mounted fourth wheels and a double pallet lever. The two self-regulating barrels (patent 2004) provide a healthy 4-day power reserve. 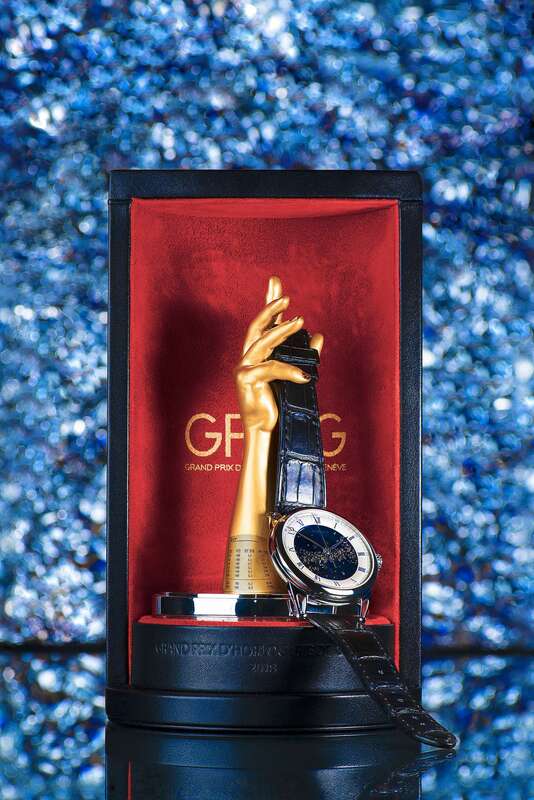 The DB25 Starry Varius Tourbillon with the 2018 GPHG Chronometry Award and a rate measurement report showing a rate variation of 0 seconds per day in all positions (picture provided by De Bethune, De Bethune internal rate measurement). 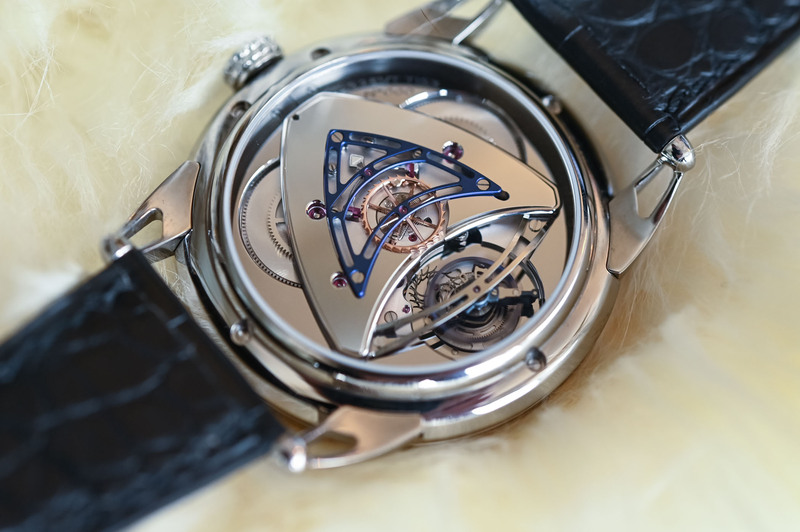 Turning the watch over the movement is technically inventive and beautiful. The motion of the tourbillon and dead-beat seconds mechanism is mesmerizing to watch. As always with De Bethune, the finishing of this DB25 feels modern with perfectly polished parts, highlighted by fine chamfers. The barrels are hand-snailed. 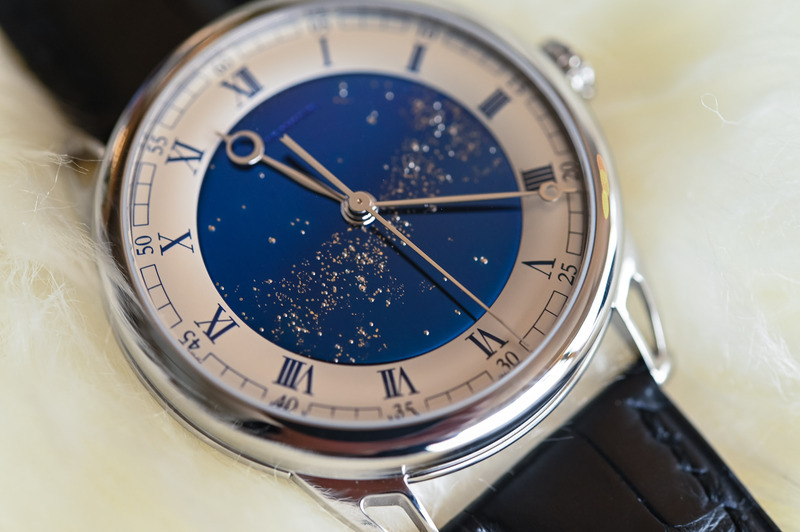 An invitation to stargaze, the trademark electric-blue dial of the DB25 Starry Varius Chronometre Tourbillon is the result of a complex manufacturing process. 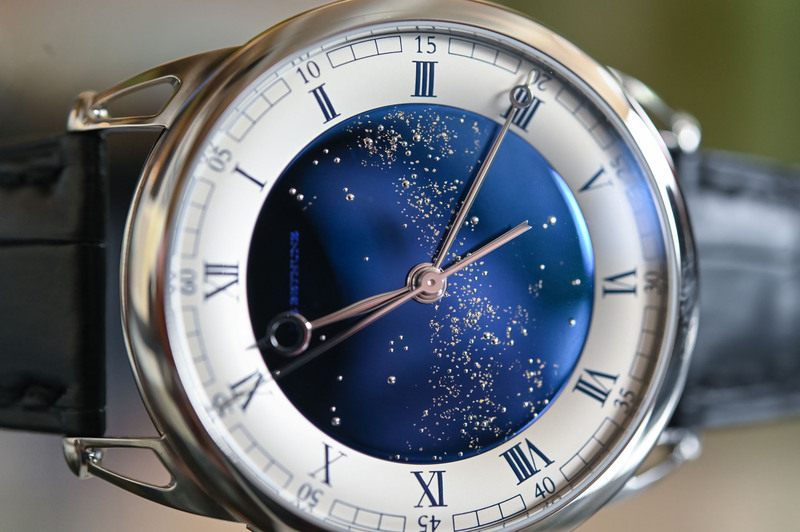 Framed by Roman numerals on a silver-tone chapter ring, it is fashioned out of flamed-blued, mirror-polished titanium and gold pins, hand-fitted one by one to depict the stars. The Milky Way pattern and its characteristic haze are laser-milled and gilded with 24k gold leaf. This glittering sky can be personalized to represent the night sky of your choice, according to a specific date and location. 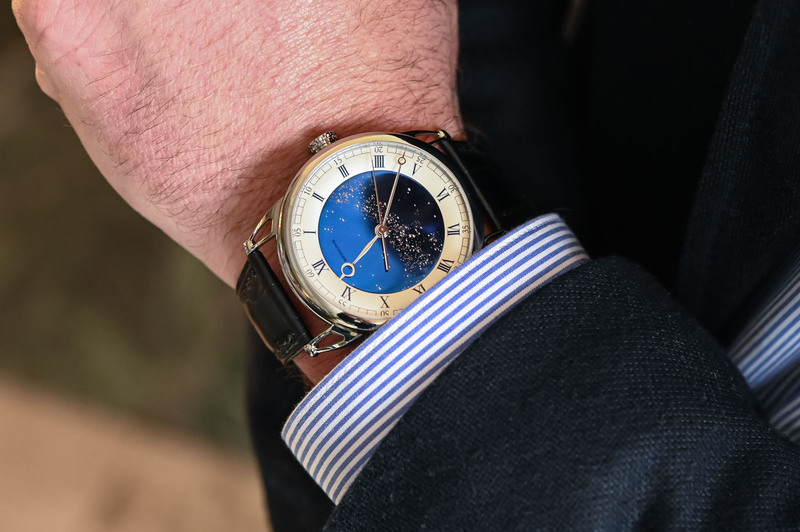 The hand-polished pomme/Breguet steel hands provide a beautiful contrast. 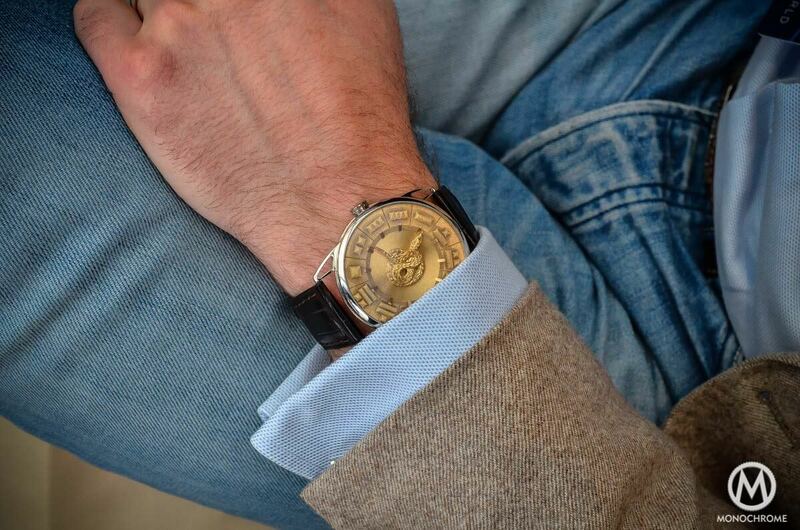 The 42mm polished grade 5 titanium case is extended by integrated hollowed lugs ensuring great wrist comfort. 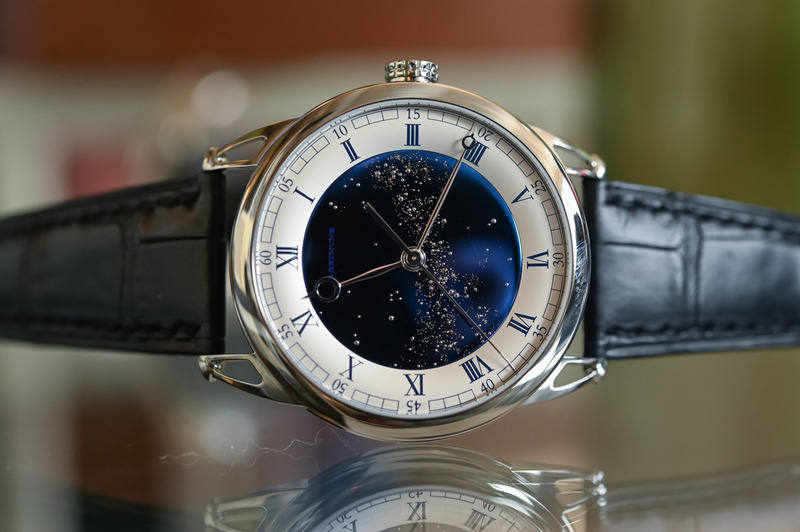 The De Bethune DB25 Starry Varius Chronomètre Tourbillon is worn on an alligator strap with an alligator lining. The pin buckle is also in grade 5 titanium. A limited production of 20 watches, the DB25 Starry Varius Chronomètre Tourbillon retails for CHF 190,000 (excl. taxes). For more information, please visit www.debethune.ch. One of the most beautiful watches I’ve ever seen. Pricey, but truly wonderful. It really puts into perspective all these guys who think they’ve “made it” with the Daytona they spent a year waiting for. 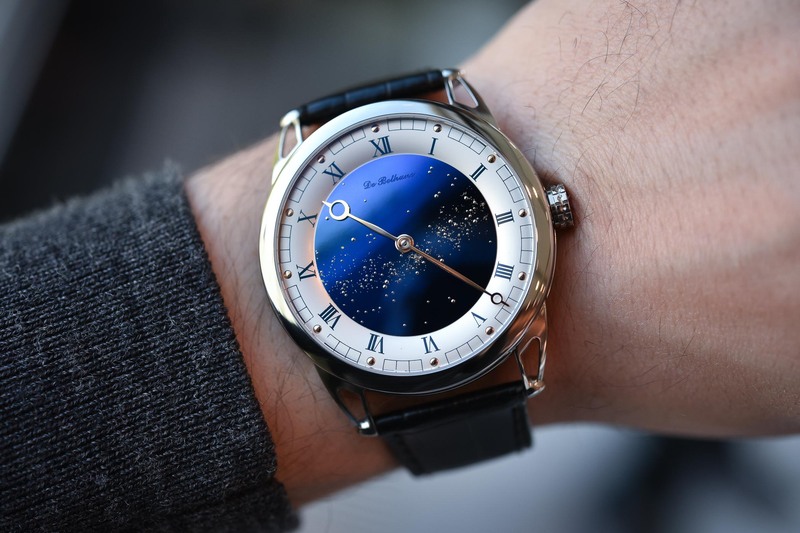 The non-tourbillon version is less than a third of the price and every bit as stunning, but you’ve got to give credit to De Bethune for not putting a big hole in the dial; the tourbillon is there to serve a purpose, not as a novelty that will eventually wear off. A Dream watch (sadly!). 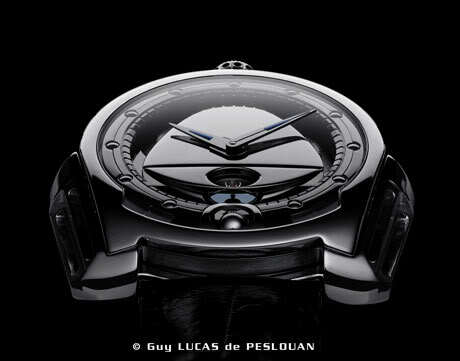 De Bethune sparkles again. I’d love to get them to put the western spiral arm of the galaxy on the dial, with our solar system just discretely there.